Deleting your Trillian account removes all account-related information, including any stored chat history, from our servers. Deleted accounts cannot be used to sign into Trillian, and any instances of Trillian you have running will be disconnected after the account has been deleted. Deleted accounts cannot be recovered after they have been deleted - be sure you want to delete your account before you proceed! Sign in to our website using your Trillian username and password. Click Delete Account to the far right of your username. 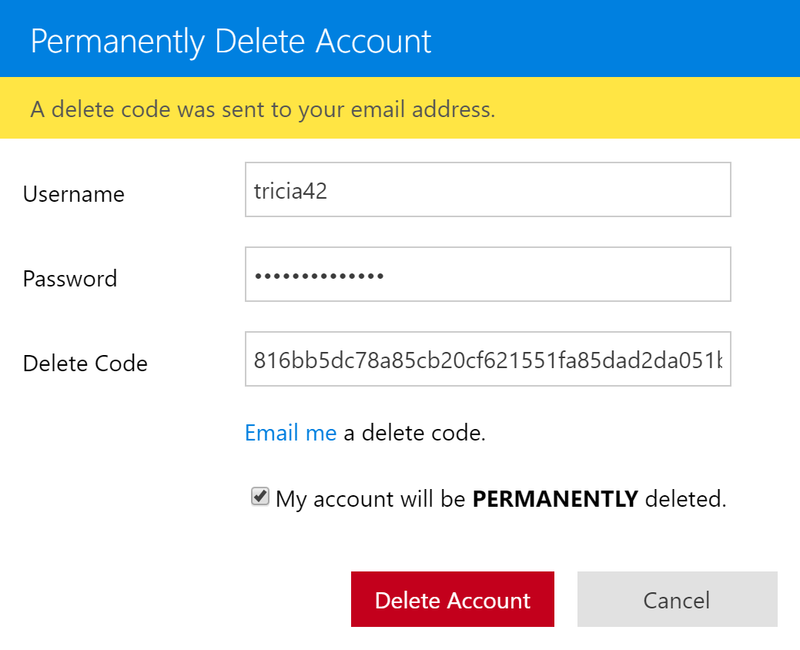 Click Email me a delete code to have a one-time delete code mailed to you. 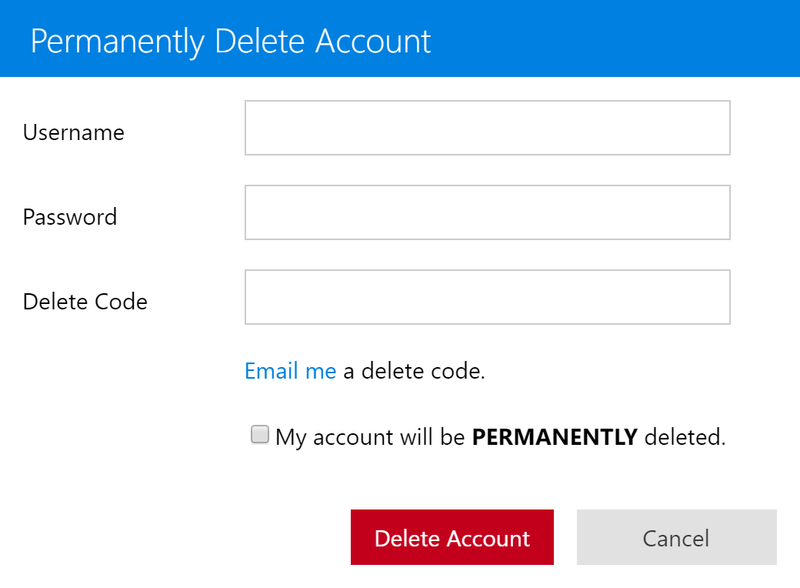 Armed with your delete code, fill in the rest of the form and click Delete Account.